WIESBADEN, Germany — U.S. Army Europe Registrar of Motor Vehicles recently announced changes to the vehicle registration process in Germany. Effective Jan. 11, there is no longer a requirement to annually register vehicles more than 10 years old. Now all vehicles can be registered for two years. 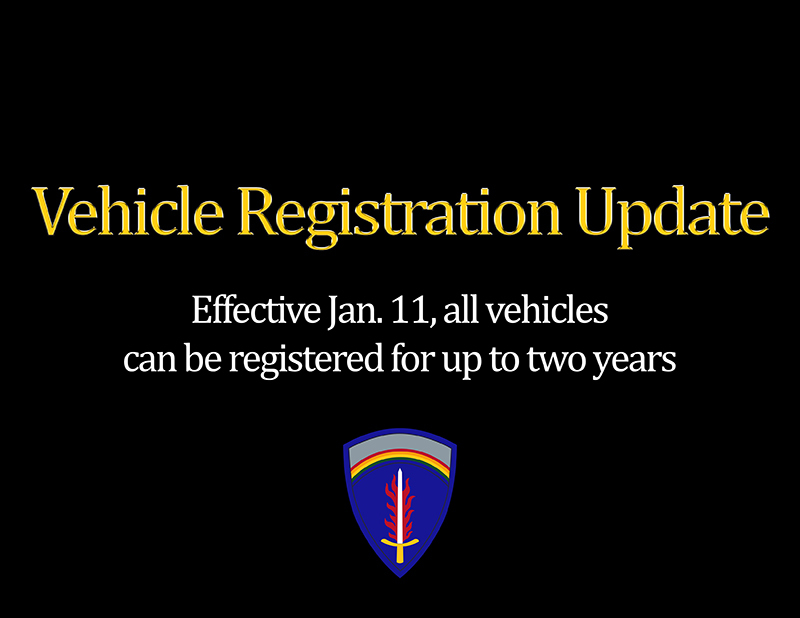 Visit the U.S. Army Garrison Bavaria website for more details on the vehicle registration process at Tower Barracks, Rose Barracks, Hohenfels and Garmisch. Keep in mind that all shipped vehicles and used vehicles purchased in Germany must pass a safety inspection before they can be registered with permanent tags. Schedule an inspection online (CAC Authentication required).